Mayor Robredo shares his experiences. Good governance model city Naga, Camarines Sur hosted the Friedrich Naumann Foundation for Liberty’s (FNF) Alumni Group seminar on new public management: lean state, lean government (NPM) from 7-10 October 2008. 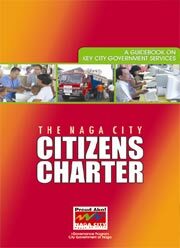 Naga City planner and NPM 2007 alumnus, Wilfredo Prilles Jr. and FNF Resident Representative Siegfried Herzog gave 21 elected local officials first-hand experience on how a city can be run more efficiently and effectively at the least cost possible based on private-sector management practices. Drawing on Gov. 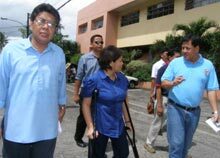 Padaca’s examples, NPM 2006 alumnus and La Salle Institute Governance Director Francisco Magno Ph.D. contrasted the two methods of public administration: the current centralized bureaucratic system and the lean and efficient NPM method. He also explained how the Local Government Code actually allows more localities to move towards the NPM system as it precisely calls for more accountability, transparency and participation. 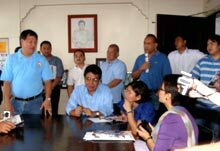 Dr. Magno pointed to Naga City as a pioneer in the field of NPM; thus, meeting the city‘s mayor and touring city hall was a highlight for the participants. Mayor Robredo spoke on the challenges and success of running the city like a private enterprise, while keeping a focus on ultimate outcomes like health, education and income statistics. He expounded on the city’s charter and its performance pledges and how it underlined his government’s stand on transparency and accountability. He also explained the important role of the Naga City People’s Council (NCPC). 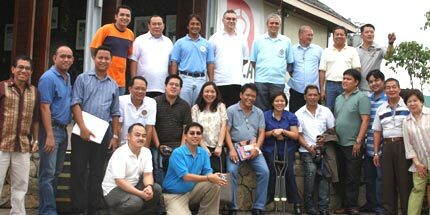 The NCPC is made up of representatives from NGOs and people organizations. It has representatives in local special bodies. The NCPC participates in the deliberation, conceptualization, implementation and evaluation of all projects of the city government. It took some time to define its role vs. the elected municipal council, but now it serves as a valuable voice of the citizens. Participants discuss NPM elements relevant to their localities. To show participants that NPM is not only applicable in the local government setting, NPM 2007 alumnus and regional court administrator, Judge Rafael Cresencio Tan Jr. spoke on how NPM instruments are now being applied in the judiciary. He discussed the implementation of the pilot Regional Court Administration Office in Cebu (RCAO) to enhance the autonomy, accountability and efficiency of the judiciary by devolving administrative functions to the regions and freeing the Supreme Court from administrative chores. The participants ended the seminar with group works and discussions on which NPM elements they needed to prioritize in their localities and which examples were relevant for them to take home. The NPM seminar in Naga City is the second International Academy for Leadership replication seminar in the Philippines organized by the Foundation’s Alumni Group.